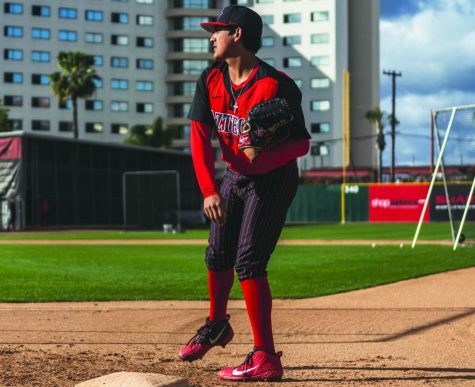 Redshirt freshman MJ James pitches during the Aztecs 8-0 loss to Grand Canyon on Feb. 16 at SDSU Softball Stadium. 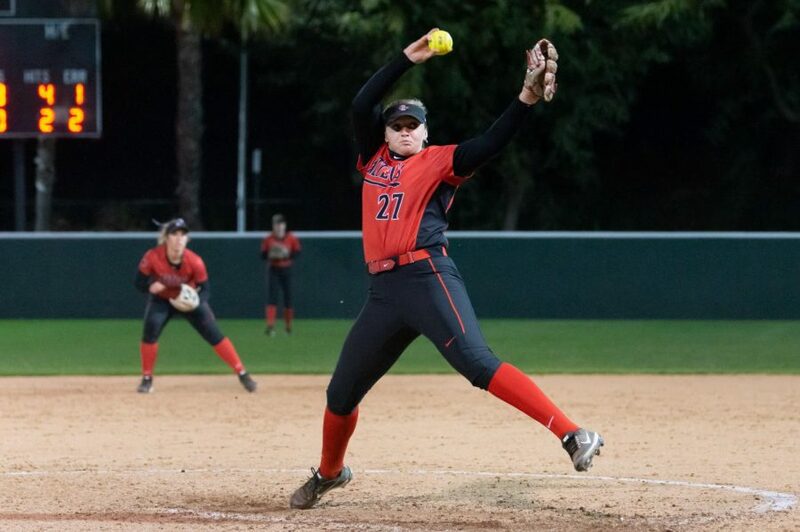 San Diego State softball lost to Florida Gulf Coast 9-0 on a rainy Tuesday night at the SDSU Softball Field. FGCU scored their first run in the top of the third inning, after a close play at the plate, when catcher Molly Sturdivant attempted to tag the runner but the ball fell out of her glove. The Eagles continued to attack throughout the top of third inning, getting runners on base and putting pressure on the Aztecs’ defense. FGCU scored another three runs in the top of the fifth inning and broke through the Aztecs’ defense with an additional five runs in the top of the sixth. 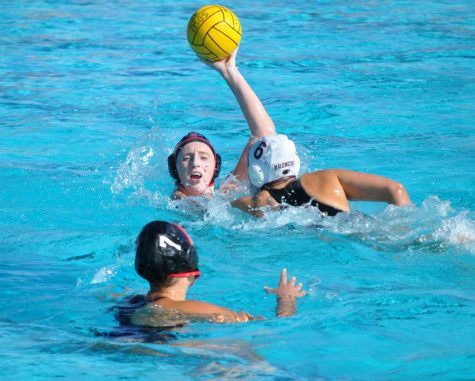 Head coach Kathy Van Wyk said the team was not playing the way they know how to play. “Overall tonight we struggled in all aspects of the game and it was not pretty,” she said. 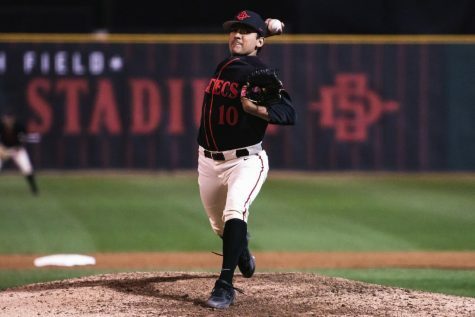 Senior pitcher Riley Randolph of Florida Gulf Coast shut out the Aztecs in six innings with zero walks and 10 strikeouts. 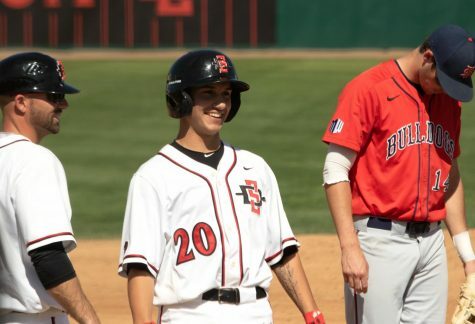 SDSU junior shortstop Shelby Thompson felt the team struggled on offense because they did not have the confidence needed at the plate. 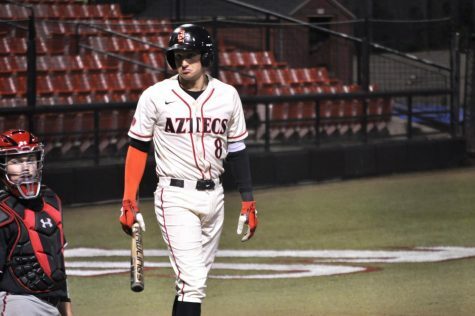 The Aztecs produced only four hits while the Eagles had a total of 10 hits. Van Wyk said she felt the Aztecs were lacking the confidence they needed to be successful on the field. FGCU was persistent in getting key hits when they needed them. They moved runners and produced runs when the opportunity was there. Sturdivant said the Aztecs felt the Eagles were getting several “lucky” hits. “Our pitchers were hitting their spots pretty decently, (the hitters) were just getting lucky by sticking their bats out there and making good contact with the ball,” she said. 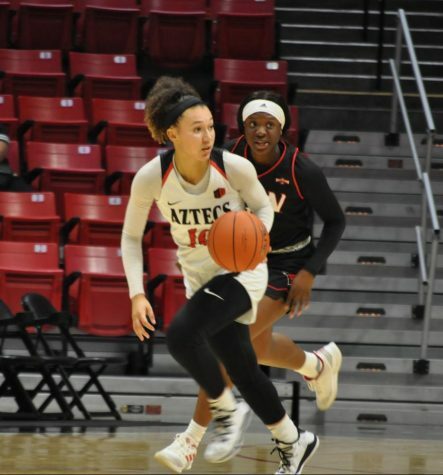 The Aztecs have been playing several games over the past couple of weeks and have not had time for a practice. 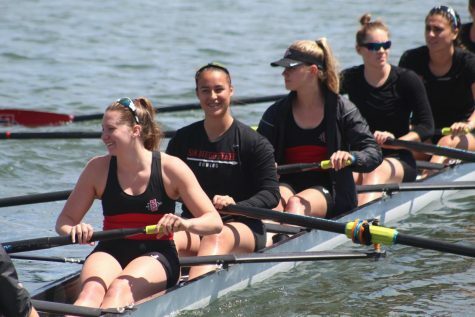 “We haven’t had enough time for a practice so that is why I am looking forward to our upcoming practice, regrouping as a team, and then getting after it this weekend,” Van Wyk said. 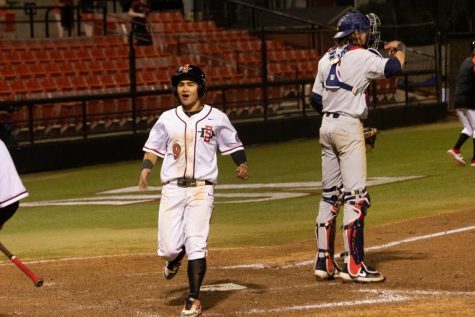 The Aztecs head to Long Beach this weekend for the Louisville Slugger Classic, with their first game against Robert Morris University on March 7.